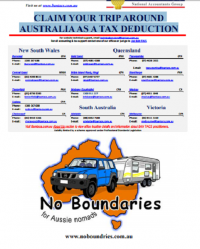 An easy read PDF format eBook that covers a range of subjects that are commonly asked about making the decision, and getting out there and finding work as you make your way around Australia. Kym and Lyn write from first-hand experience, as well as experiences of the many other working nomads they’ve met along the way. Everything you wanted to know, from your resume to accommodation choices, budget and communications. 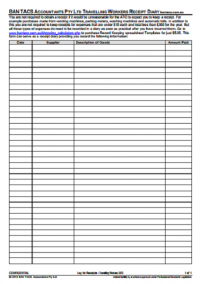 Over 130 A4 pages of information, charts and full colour pictures, this eBook is an essential resource to the working nomad. 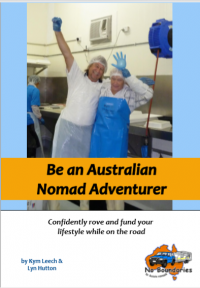 Be an Australian Nomad Adventurer is an easy read PDF format eBook that covers a range of subjects that are commonly asked about making the decision, and getting out there and finding work as you make your way around Australia. Kym and Lyn write from first-hand experience, as well as experiences of the many other working nomads they’ve met along the way. 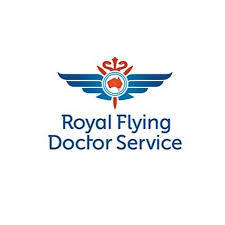 $1.00 from each eBook sale is donated to Royal Flying Doctor Service. After many months of discussions and failed attempts at sorting out our thoughts on where to start our plan on being able to go live the dream. 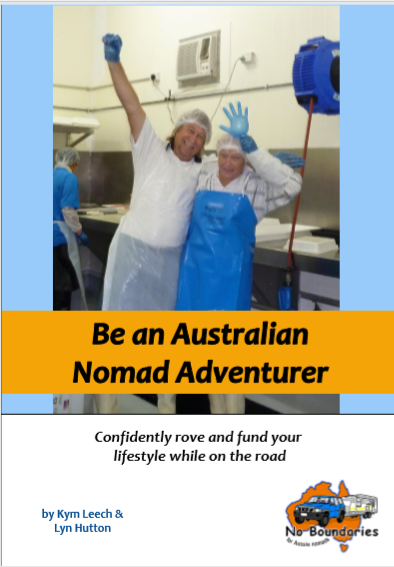 I down loaded the ebook “The working Nomad” written by Kym and Lyn, What a fantastic well put together read, thanks to their input, we are now well on the way to having our plan come together, as their book gives you a great guide on the how’s, what when and why’s that they have experienced on achieving their dream, Thanks Guys for your assistance. If you never go, you’ll never know. Thank you Mark and Jodie. Great that you found our eBook a valuable resource. Keep an eye out for us on the road. Looking forward to catching up one day. We hope all goes well for you.